“It takes years to get that dust on there.” Dan Auerbach gets it. 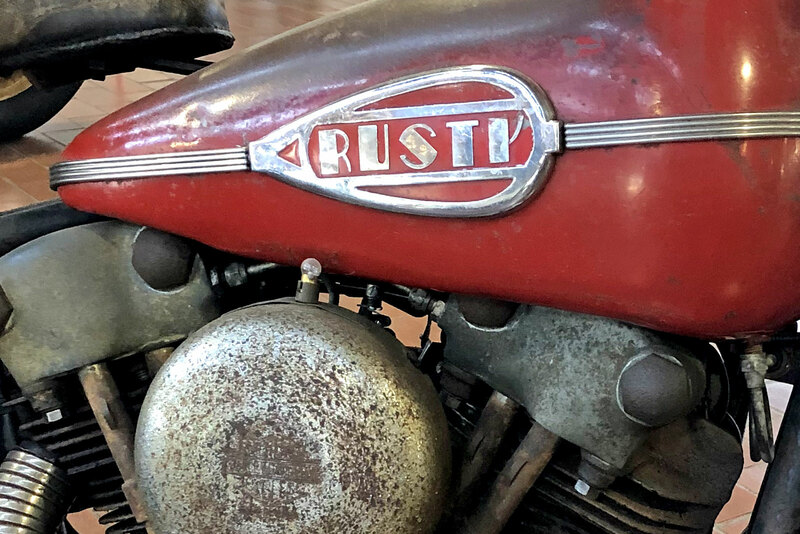 He appreciates how each dent, scratch and layer of grime preserves the stories his bikes have been carrying for decades. 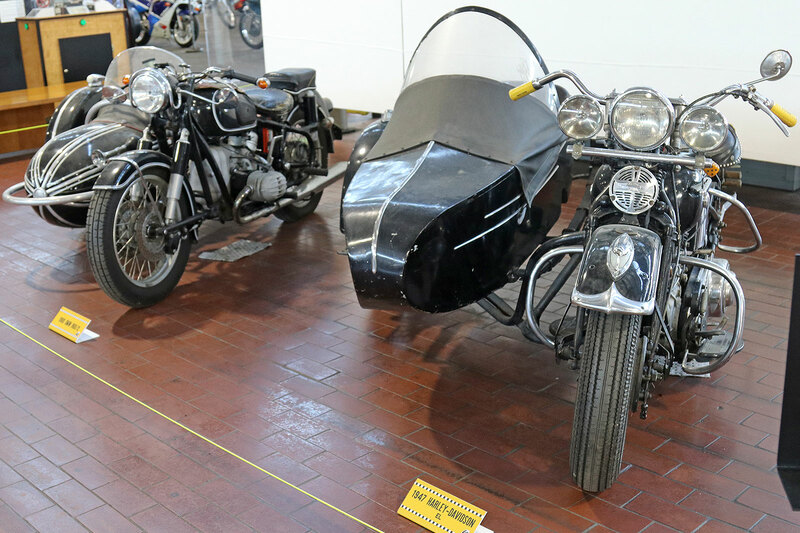 He wanted to make sure the Lane Motor Museum displayed his collection as is and they were happy to oblige. 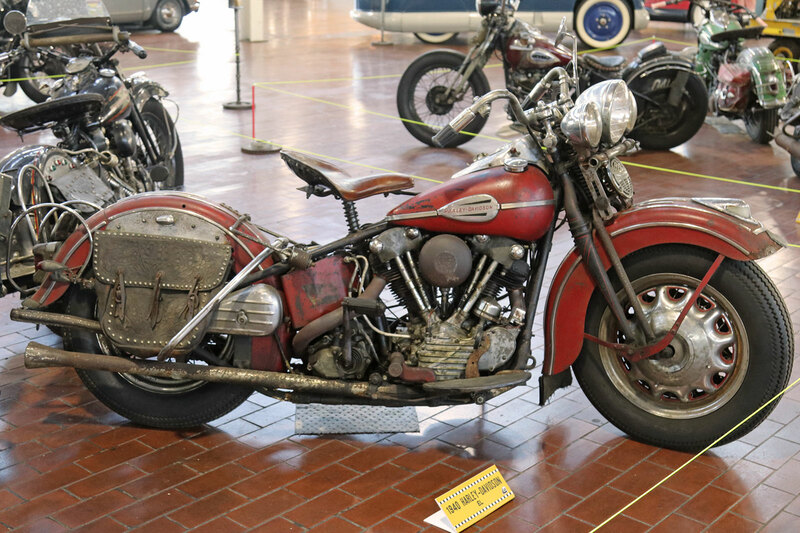 Oh the patina on this 1948 FL Harley-Davidson. 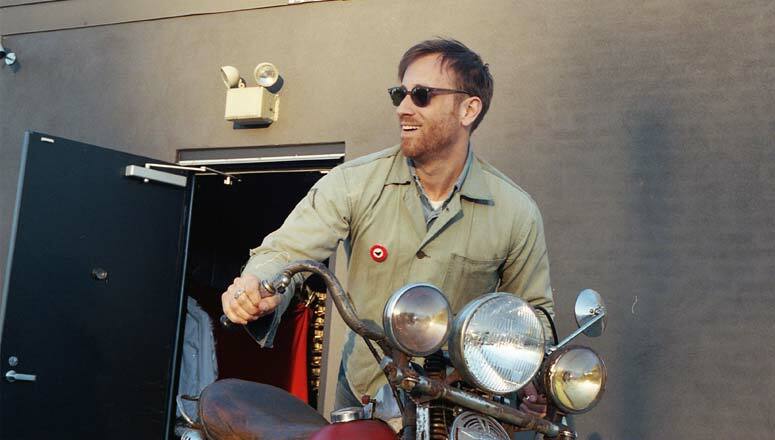 Dan Auerbach. Photo by Larry Niehues. Ohio-born and now rooted in Nashville, Tennesee, Dan Auerbach is a musician with an incredible ear for authentic music and artists. In addition to his more widely-known resume (co-founder and voice of The Black Keys), he produces and promotes killer throwback music acts via his record label, Easy Eye Sound. Check out Shannon and the Clams, especially their tune, “Backstreets”; it has a Del Shannon-esque, early 60s rhythm and vibe. His solo work on the track, “Waiting on a Song” is great, too. 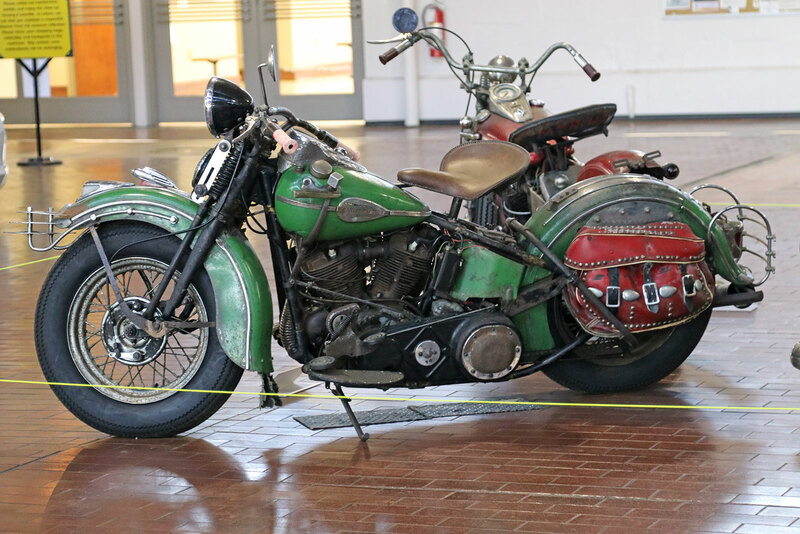 This green bike with complementary red saddlebags is a 1941 Harley-Davidson EL. 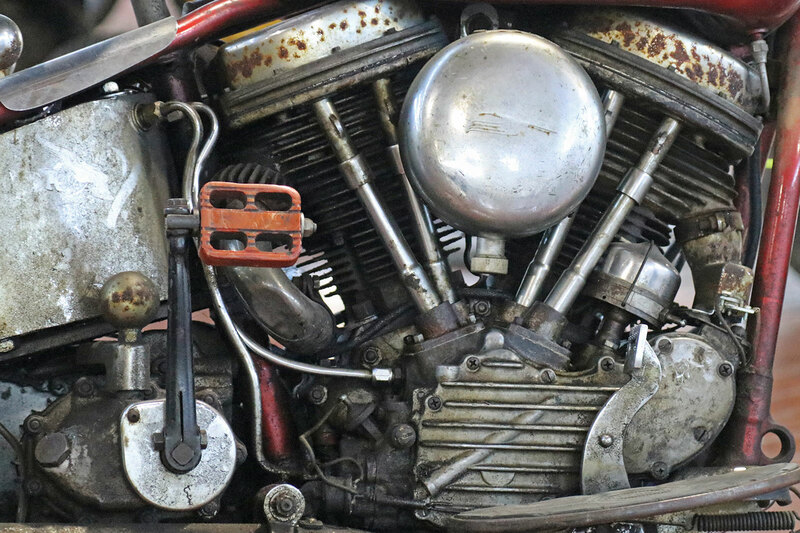 We didn’t know about his affinity for old Harley-Davidsons, but we’re not surprised by his exceptional taste when it comes to these lo-fi mechanical works of art. It’s the kind of raw, rough-around-the-edges inspiration you’ll find in his well-crafted music. 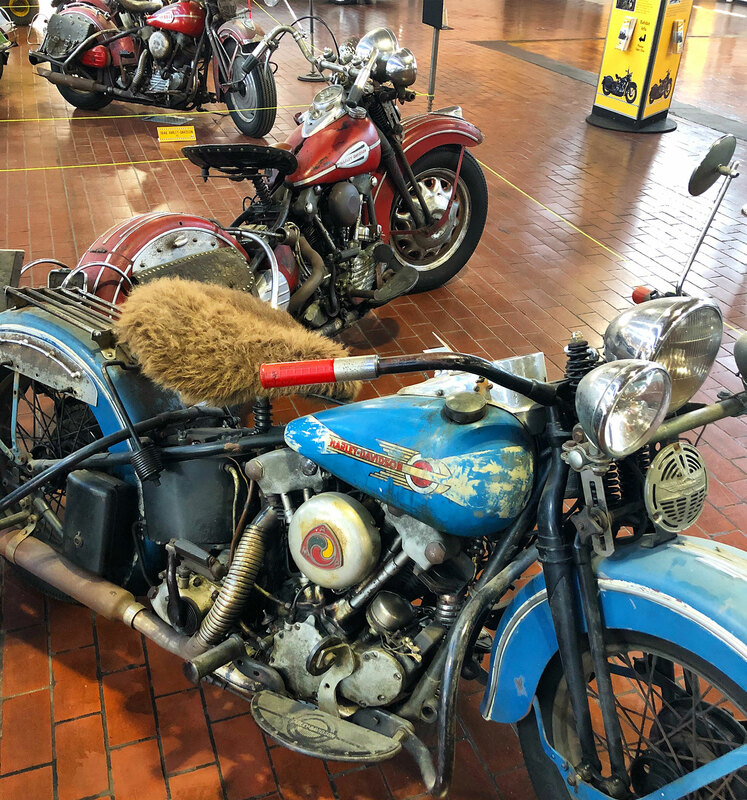 Ten of his motorcycles are on display till May 6, 2019 in the exhibit, “The Dan Auerbach Collection: Vintage Harley-Davidsons from 1937-1950.” Of course, you’re in for a heck of a stroll through the entire Lane Motor Museum facility, featuring some of the funkiest vehicles we’ve seen in one place. 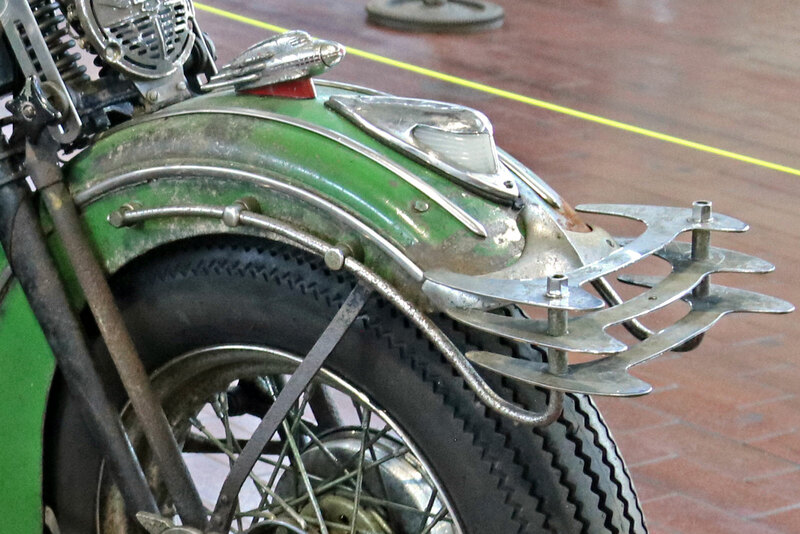 I mean, this front fender alone is a work of art (1946 H-D FL). 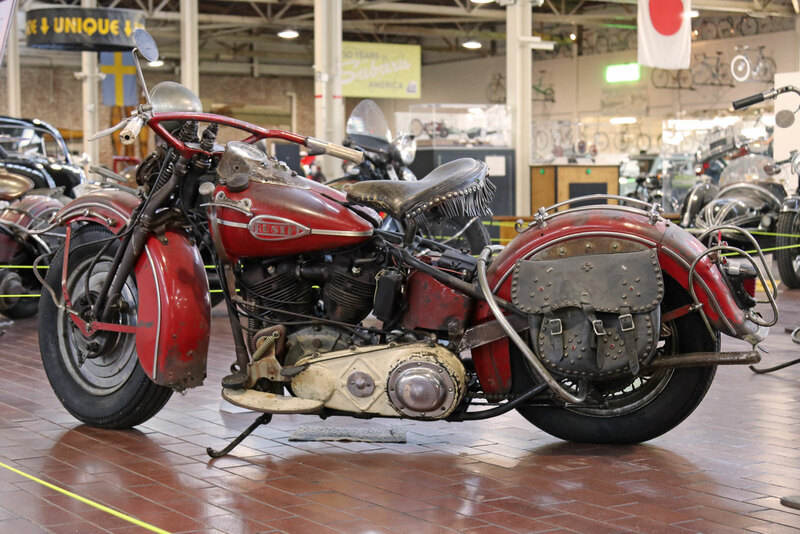 Meet Jack, Dan’s 1946 Harley-Davidson FL. 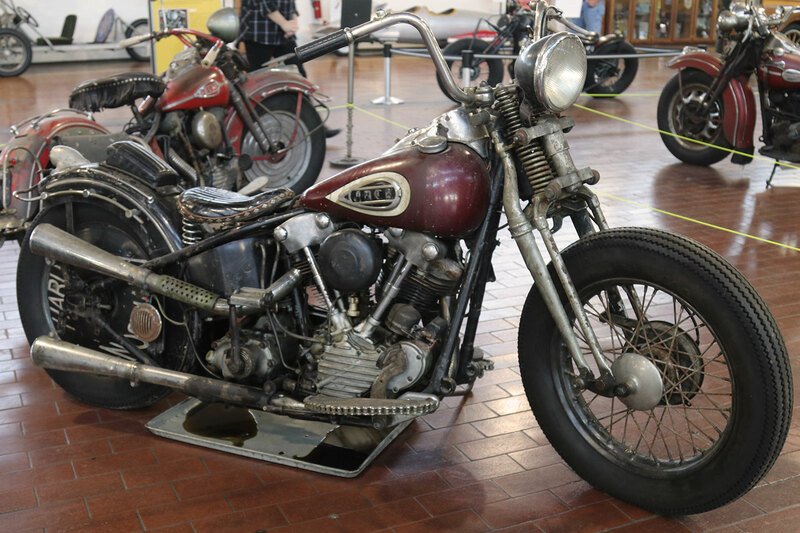 You’ll be happy to know these bikes are ridden by Dan and in running condition. 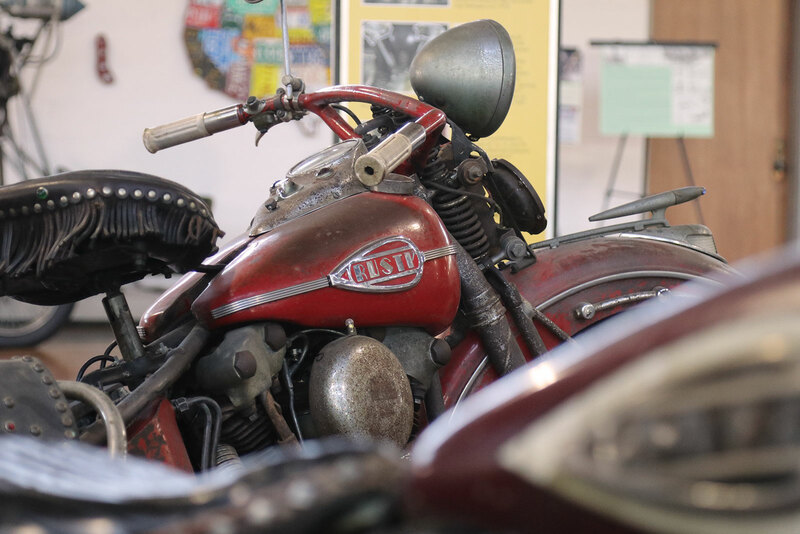 We’re thankful he decided to show a good portion of his collection to the public and we’re glad the Lane Motor Museum set up the display for us to absorb in person. 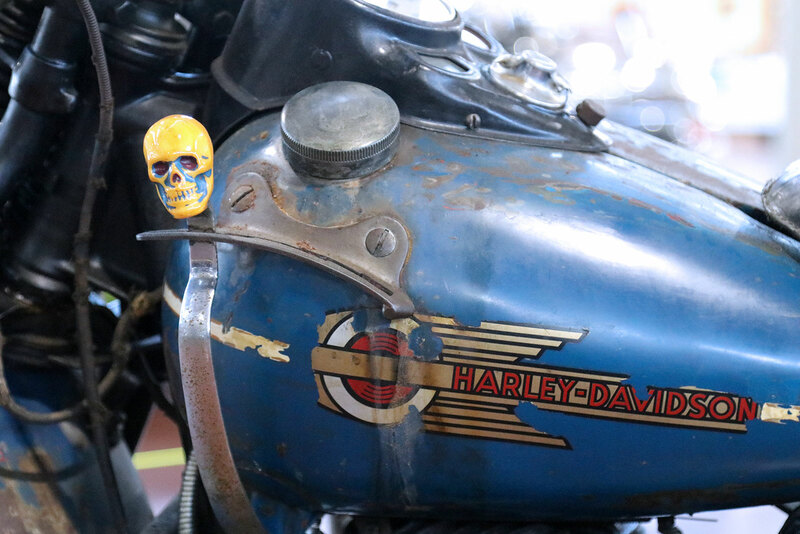 We stared in admiration for a long time, studying the details of the custom metalwork and folk-art accessories that adorn these American time capsules. 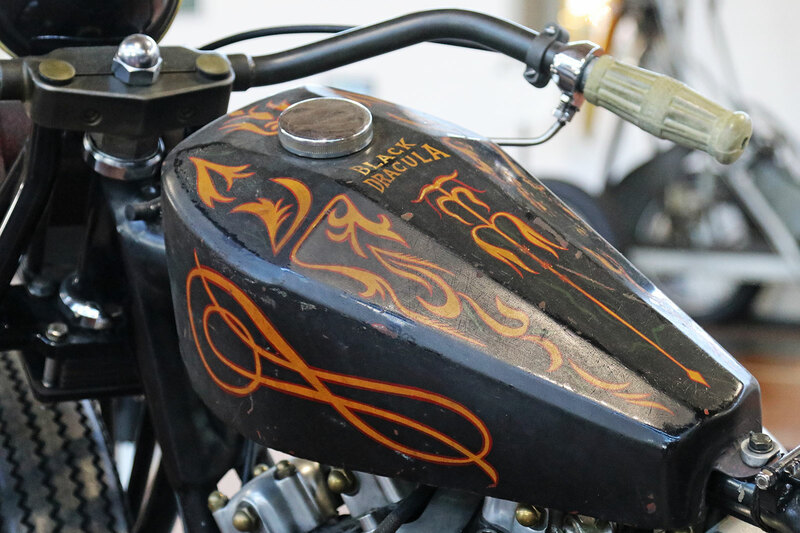 Black Dracula is a recent custom Harley-Davidson Ironhead that was inspired by the above 1970s coffin tank (with original paint). 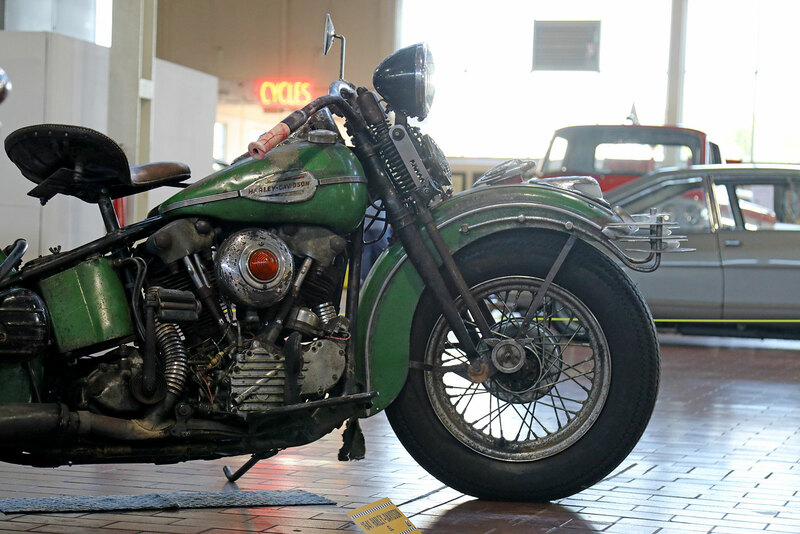 It was customized by Lane Motor Museum fabricator Michael Hüby for Auerbach. 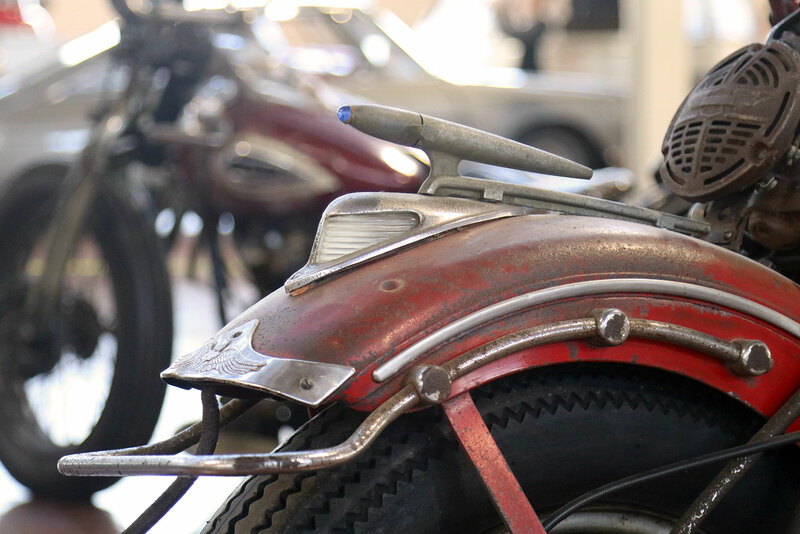 Check out Dan Auerbach’s latest work and visit the Lane Motor Museum when you’re in the Nashville area. If you stop by before May 6th, 2019, you can see this collection and so much more! 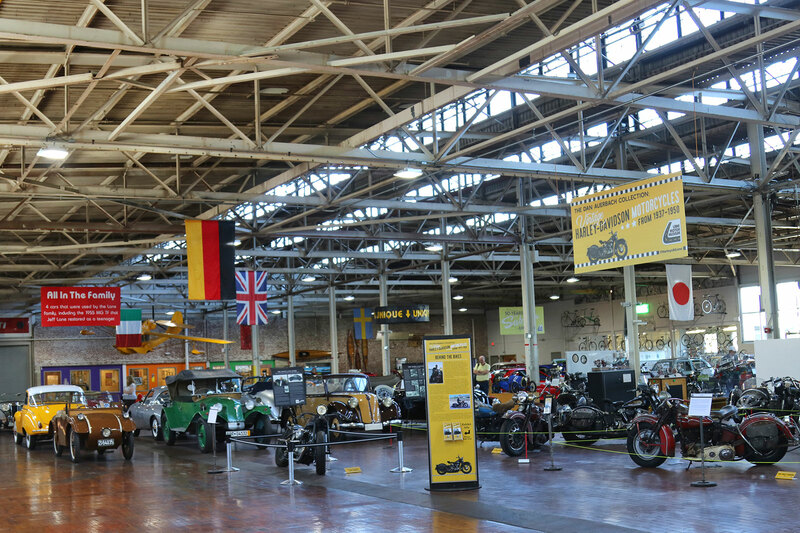 Just a small fraction of the vehicles that the Auerbach collection is surrounded by at the Lane Motor Museum. 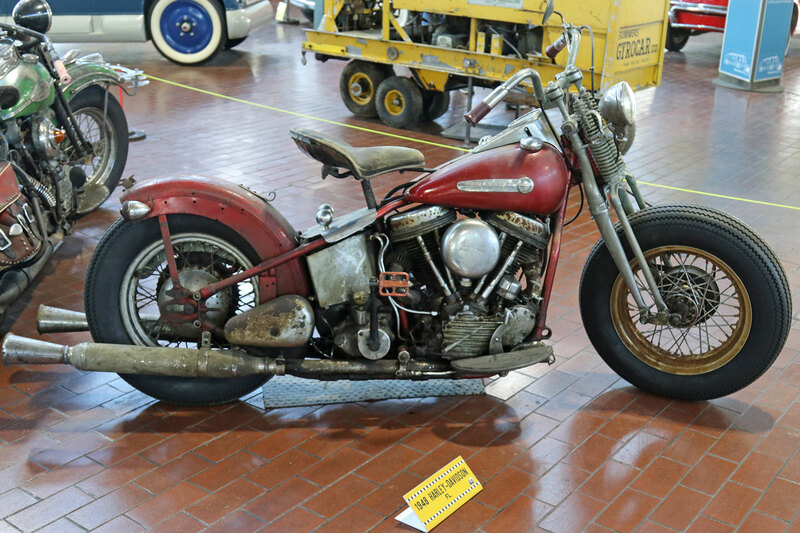 Meet Rusty, Dan’s 1946 Harley-Davidson FL. 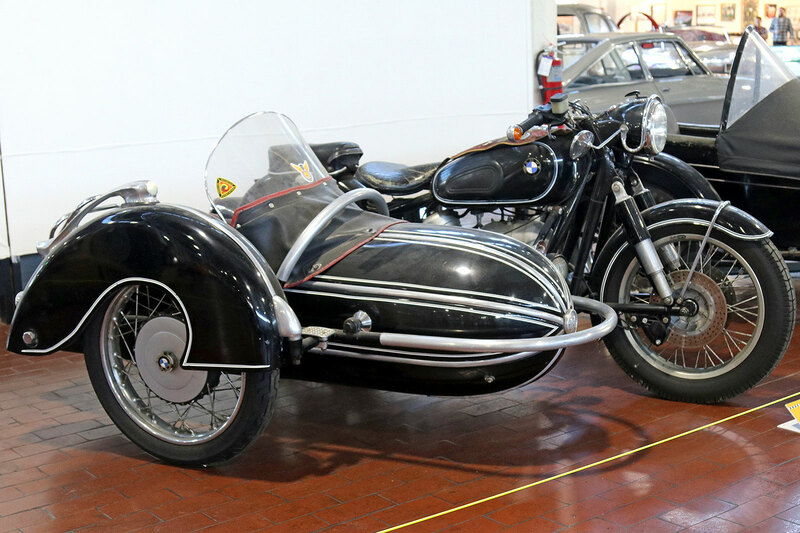 A 1965 BMW R60/2 sidecar. 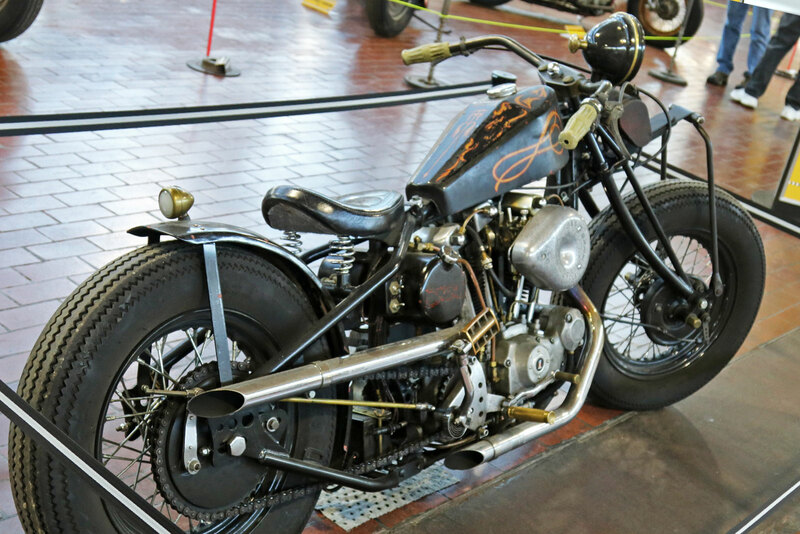 A 1939 Harley-Davidson E with vintage AMA emblem.